WebTrak enables you to see aircraft operations at East Midlands Airport. WebTrak does not show aircraft above 15,000 feet, (which are outside of our controlled airspace and are not operating to or from the airport) as well as some light aircraft. WebTrak provides general information; including tracks and altitudes, as well as more detailed information; including the aircraft type, the airline name and the origin or destination of aircraft. In 2010, the East Midlands Airport's multi-lateration system went live. This system represents another innovative and significant investment by East Midlands Airport. Coupled with an upgrade to the WebTrak system which was delivered in 2011, “multilat” provides users of the facility with more detailed location information for aircraft movements to and from the airport. To maintain security and satisfy the Department for Transport, WebTrak is updated every 6 hours and as such a delay of up to 6 hours is imposed on information being publically displayed. Information obtained from WebTrak should not be used or relied upon for any purpose other than for general enquiries relating to aircraft tracks. Information on arriving or departing traffic at East Midlands Airport will include the airline and aircraft type, its altitude and track. Other aircraft operating within the airport’s airspace will also be displayed, but without such detailed information. The data is taken from our multilateration system or conventional radar facilities. 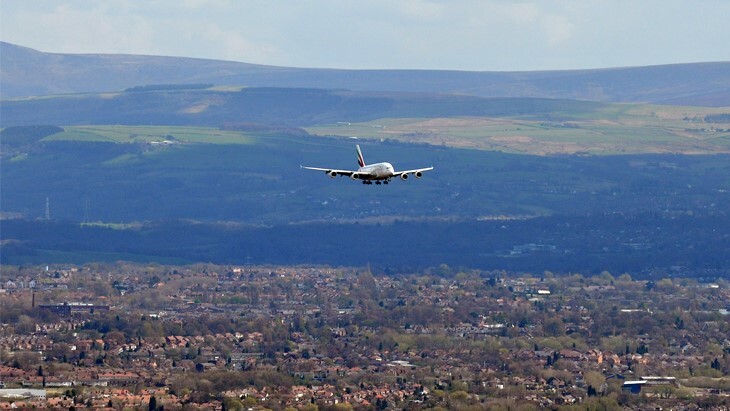 Can you provide information on aircraft that didn't land at or depart from East Midlands Airport? No. WebTrak can only indicate the presence and altitude of other aircraft by a simple icon. WebTrak can not be viewed in ‘real time’. For security reasons agreed by the Department for Transport, there is a delay of up to 24 hours. What do the airline and aircraft characters mean? I have a question about a specific aircraft - who do I contact? Click here to contact our Community Relations team. I have noticed that WebTrak shows some aircraft are operating at an altitude of 0 feet, surely this can't be correct? The altitudes shown by WebTrak are transmitted by the aircraft. Sometimes some aircraft do not transmit altitude information, so when this happens WebTrak simply displays the altitude as 0. Why do some aircraft appear to fly so much lower than others? It is quite normal for aircraft to operate at a range of altitudes. Aircraft vary in size and larger aircraft often appear to be operating lower than others. WebTrak will give a very good idea of how high aircraft are in any particular area. I have noticed that some aircraft occasionally appear or disappear on the WebTrak display. Why is this? WebTrak shows aircraft flying below 15,000 feet. As a result, the display will first show aircraft when they descend below this altitude. This can happen anywhere on the display and so some aircraft can suddenly ‘appear’ from nowhere. This is quite normal. Where aircraft are climbing, WebTrak will no longer display their track once they climb above 15,000 feet. How do I report an aircraft disturbance?